Malaysia’s automotive industry was established in 1963. Under the Colombo Plan, the Malaysian government formulated a localized production policy for the automotive industry. In 1964, the Malaysian government set out a policy of promoting vehicle assembly and localized component production and thus prohibited the import of completely built vehicles and implemented localized production. The Ministry of Trade and Industry founded the Motor Vehicle Assemblers Committee (MVAC), responsible for reviews of related investment. Consequently, companies engaged in the import of CBU had to manage complex import processes and pay high import taxes, and thus the import of assembly cars grew very rapidly. Certain restrictions were employed, such as an import duty on CBU or control of the auto dealer by license renewal twice a year. In 1967, the Malaysian government approved the establishment of six auto assembly plants. In the same year, it passed the Investment Incentive Act to encourage more assembly cars to use locally made auto parts. At this early stage, assembly plants were established by joint ventures between European manufacturers and local enterprises, and the assembled vehicles were mainly European and Japanese cars, with the latter coming to dominate the Malaysian car-assembly market in the 1970s. Although Malaysia hoped to promote the growth of the local component production industry by increasing the level of local manufacturing, because of numerous assembly manufacturers and different vehicles needing various components, it was impossible to conduct mass production, and thus the products produced did not have any price advantage. To elevate the quality of locally made components, the Malaysian government proposed the Mandatory Deletion Program in 1979, to weed out unqualified manufacturers, simplify production, and increase industrial competitiveness. However, the Japanese-based group of foreign car manufacturers and Chinese- Malaysian investors still controlled automotive assembly, component production, and marketing. Therefore, the Malaysian government began to consider transforming its assembly-oriented industry into a car manufacturing one. The transformation of Malaysia’s automotive industry began in 1982, when Prime Minister Mahathir announced the homemade vehicle production plan, which was controlled by The Heavy Industries Corporation of Malaysia Berhad (HICOM), the group responsible for implementing the country's National Heavy Industries Plan and Industrial Master Plan Project (IMP). These actions were taken in hopes of leading the automotive industry into the self-development mode. The form of the state, its structure, and developmental strategy have an obvious connection to its interaction with civil society. In the social structure of Malaysia, conflicts among ethnic groups are closely related to industrial policy. In 1969, because of economic inequality, the so-called “513 race riots” broke out and became an important turning point in the economic development of Malaysia. Afterwards, the Malaysian government proposed its New Economic Policy (NEP) in 1971, developed a technocrat bureaucrat authoritarian regime, and directly intervened in economic development through the “Kuota” (quota) system to reduce economic inequality between ethnic groups. The new economic policy was based on the concept of “National Capitalism,” and tried to raise the proportion of the indigenous Malay Group” (or Bumiputra), an ethnic group that participated in the economy, thus promoting the ethnic redistribution of wealth, and relieving conflict. The development mode of national capitalism in Malaysia in this period was state-driven, with the government directly intervening in the market. The state during this period primarily focused on the automotive industry and considered it the national industry of Malaysia. Malaysia’s automotive industry development started with car assembly (1963-1982), and then Mahathir promoted the Homemade cars Plan in 1982 and encouraged the local automotive industry to work on exports. The aim of this plan was to improve the low domestic rate and alter the industrial structure, which was dominated by ethnic Chinese investors. In an attempt to lead private sector investment, the state of Malaysia used various strategic industrial policy tools, such as tax incentives and subsidies, preferential bank loans, market protection, government orders, and technology development to develop a strategic industrial policy. 5. Encouraged domestic car manufacturers to export vehicles and auto parts (especial OEM parts) to ASEAN countries, and used the export channels of technical cooperation plants to sell them to other Asian countries. 6. Offered civil service low-interest loans to purchase domestic cars. With the Homemade Cars Plan to build up the brand PROTON, Malaysia employed the independent development strategy in an attempt to build the industry through state protection, which was initially effective. In 1989, PROTON began to export vehicles to other countries. From the latter 1980s to the early 1990s, the domestic market share of PROTON SAGA models was nearly 45%. PROTON merged with Lotus, a leading British brand, in 1997, and became the focus of the international automotive market. In addition to PROTON, the second domestic car, PERODUA, was also developed with state support in October 1992, with the aim to provide a large-scale supplier for the spare parts market. In its heyday, because of the automotive group formed by PROTON and PERODUA, the supply chain had 350 chain-related companies, with a total investment of RM 4.6 billion, employing more than three million people, and producing 6,000 auto parts, nearly RM 20 billion worth. 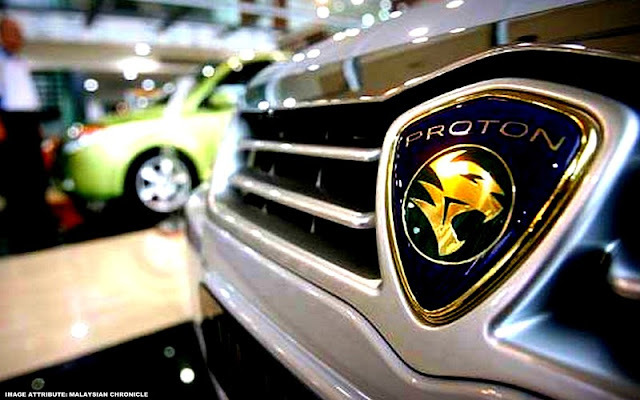 PROTON has not only become the largest brand in the Malaysia car market but also the only domestically manufactured car brand in an ASEAN country. Second, the political nature of the Malaysia automotive industry hindered its subsequent industrial policy and made it difficult to adopt a policy of following the market. In short, industrial development, particularly the automotive industry, has been closely related to Malaysian political and economic characteristics. Tai, Wan-Ping ; Ku, Samuel C. Y.: State and Industrial Policy: Comparative Political Economic Analysis of Automotive Industrial Policies in Malaysia and Thailand. In: Journal of ASEAN Studies 1 (2013), 1, pp. 60-62. URN: http://nbnresolving.de/urn:nbn:de:0168-ssoar-441471.